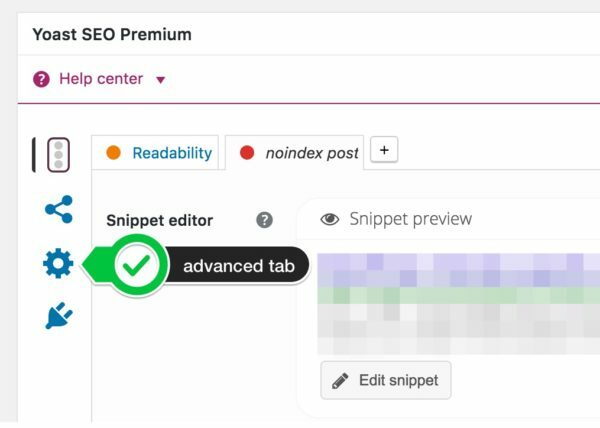 WordPress: How to noindex a post! Some posts and pages should not show up in search results. To make sure they don’t show up, you should tell search engines to exclude them. You do this with a meta robots noindex tag. For example; you might not want people to find the “thank you”-page you redirect people to when they’ve contacted you. Or your checkout success page. Setting a page to noindex makes sure search engines never show it in their results. 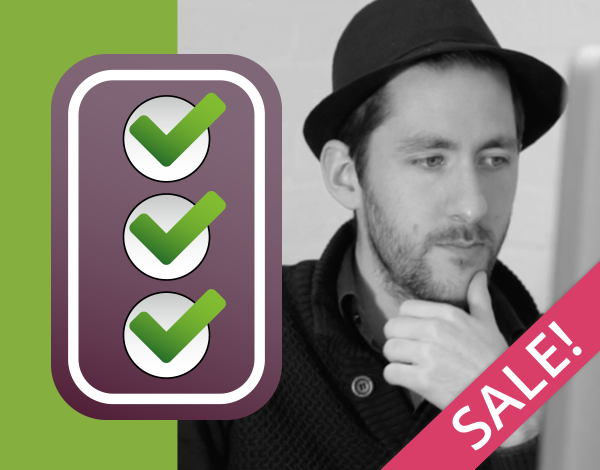 Get the most out of Yoast SEO, learn every feature and best practice in our Yoast SEO for WordPress training! Please note that if the post you’re setting to noindex is already in the search results, it might take some time for the page to disappear. The search engines will first have to re-index the page to find the noindex tag. Do not noindex posts frivolously: if they were getting traffic before, you’re losing that traffic! 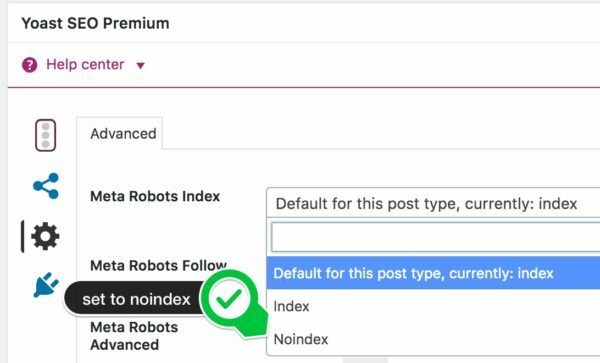 Setting the meta robots to nofollow will change the search engines behavior so they will ignore all the links on the page. Use this with caution! If you want to learn more about meta robots tags, read our ultimate guide to meta robots. Or read more about WordPress SEO, and get the most out of your site! Ask Yoast: why connect GSC with Yoast SEO?